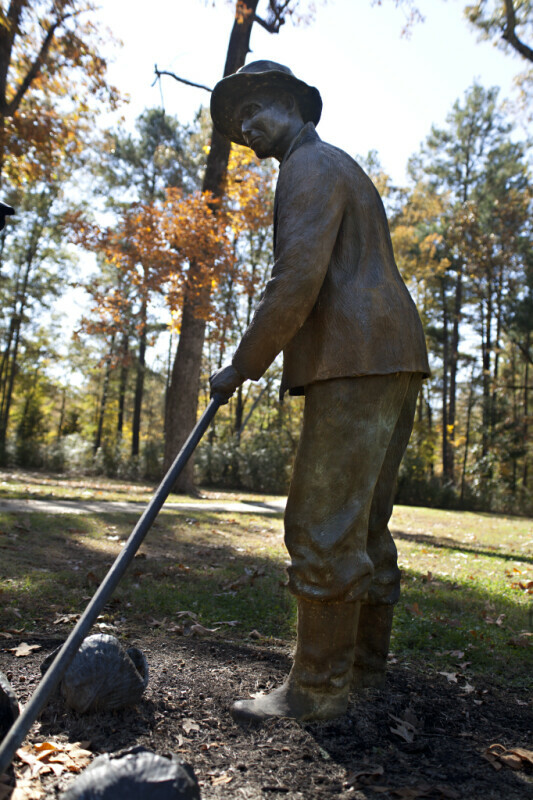 This bronze sculpture, at Corinth Contraband Camp, is known as “Farmer.” The bronze figures in the park all depict some facet of daily life, from when the camp was active. This photograph shows the left side of the farmer. The farmer's trousers are tucked into his boots.